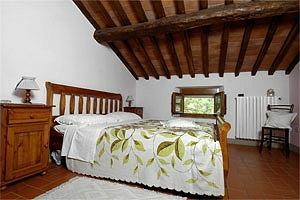 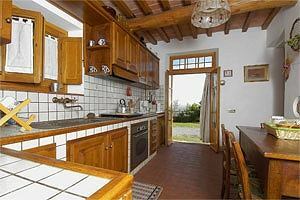 The villa (accommodation for 18 people) is on the rises of Montalbano, in a very calm and quiet area, in an olive grove. 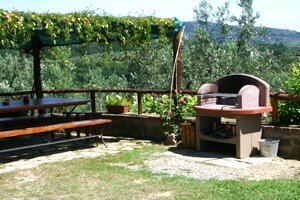 The villa is surrounded by a garden with table, chairs, beach umbrella, barbecue and gazebo. 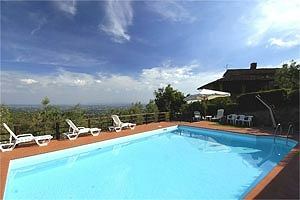 In the garden there is the private swimming pool. 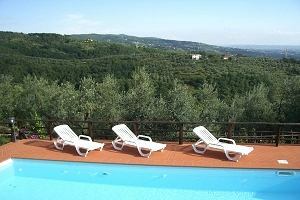 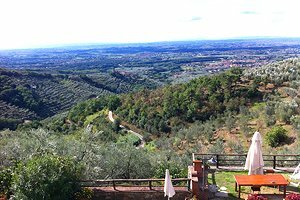 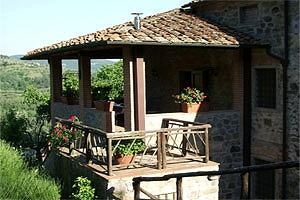 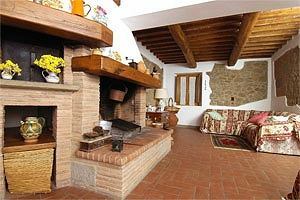 From the villa there is a fantastic panoramic view of the valley and of the Larciano Castle. 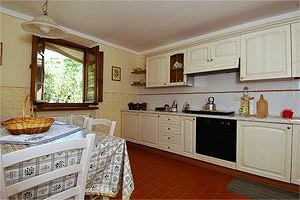 For guests: Sat TV, laundry, bowling green, an equipped area for picnics. 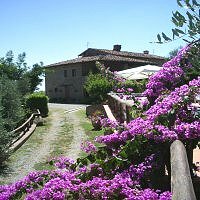 At about 4 km from the villa there is the village of San Rocco di Larciano with shops and services, a lake for sporting fishing and the natural observatory of the ‘Padule di Fucecchio’ park. 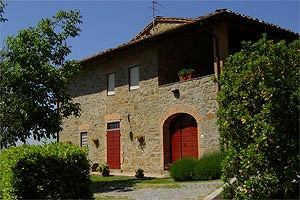 At 6 km there is the club ‘Montecatini Golf’. 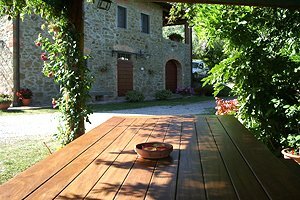 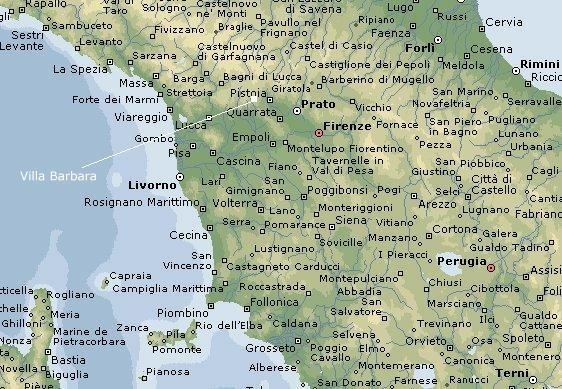 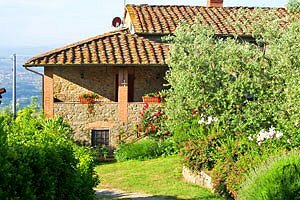 From the villa it is possible to easily reach all the most important art cities of Tuscany (Florence, Pisa, Siena, Lucca) and the Versilia coast. 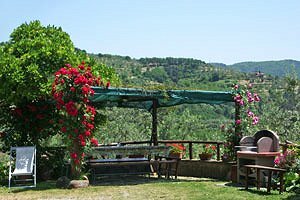 The villa (8 bedrooms, 5 bathrooms) is composed by 3 apartments, in total there are 6 double bedrooms, one bedroom with single bed and a bedroom with 3 beds, 5 bathrooms with shower, 4 sitting rooms, a veranda with a table and a balcony with solarium and panoramic view. 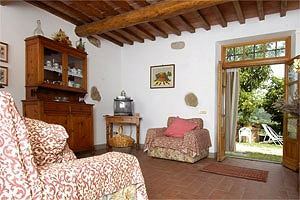 In a sitting room there is a double sofa-bed.